Montreal (Québec), July 11th, 2012. – Hot off the team’s third consecutive victory, Quebec driver Antoine L’Estage (of St-Jean-sur-Richelieu) and his co-driver Nathalie Richard (of Halifax, Nova Scotia) today head to the Sunday River ski resort for the fifth round of the Rally America series. 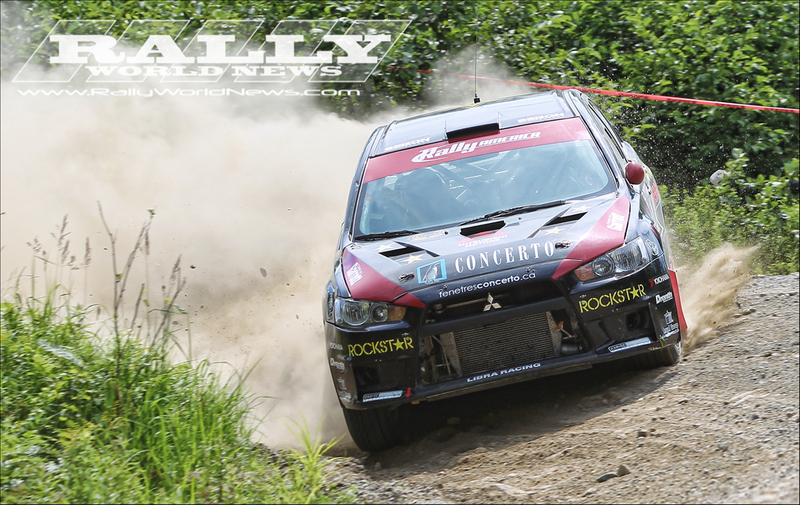 In the adjacent states of Maine and New Hampshire, the New England Forest Rally will once again be hotly contested by some of the top rally teams on the continent. Reigning and current Canadian and North American Rally Champions, Antoine L’Estage and Richard have won the last three events they entered in the past month and a half; two in Canada and one in the US. The Rockstar Energy Drink duo presently sits in second place in the hunt for the Rally America title, which they last claimed in 2010. 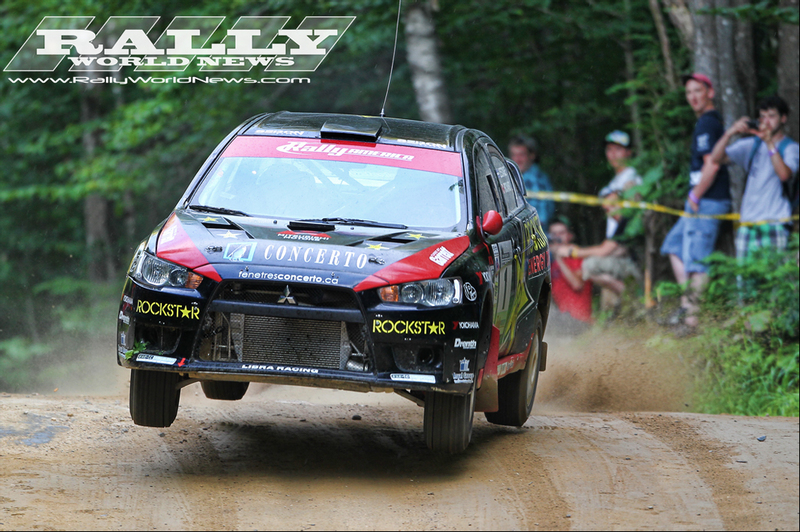 "The New England Forest Rally is one of my favourite events of the year. We’ve won here the past two years in a row and I’m looking forward to doing it again" confides an eager L’Estage. "The Concord Pond stage has been moved to earlier in the day on Friday – it’s an extremely popular stage, loaded with spectators, and I can’t wait to give them a good show" he adds. L’Estage and Richard have won all three of the Canadian Rally Championship events in 2012 but after a slower first half of their US calendar with a second place and two DNFs, the team claimed top honours at the series’ most recent outing in Pennsylvania, "we had a couple of mechanical DNFs in the spring but our Mitsubishi Evo X is a fantastic car and we really put it through the wringer at a very rough event in Quebec two weekends ago. It held up great and it’s a testament to the products we use and how well the car is built" claims co-driver Nathalie Richard." "There are some new stages here but Antoine and David (Higgins) are so experienced at making good notes, it’s going to be a very interesting weekend!"